Onychomycosis accounts for 18-40% of all nail diseases and 30% of cutaneous fungal infections. The incidence is between 2 and 13% and increases with age. Overall, 15-20% of the population suffering from onychomycosis is in the age range of 40-60 years. 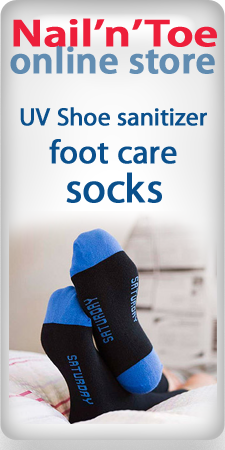 Fungal infections of the feet normally occur in the outermost layer of the skin (epidermis). 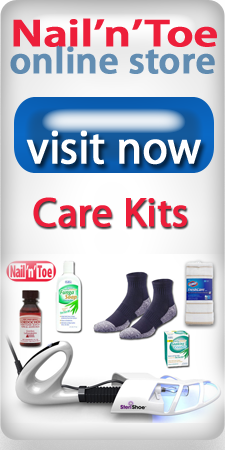 The skin between the toes is a frequent site of infection which can cause pain and itchiness. Fungal infections of the nail (onychomycosis) can affect the entire nail plate. The disease may be further complicated by secondary candida infections and psoriasis. Physical inconvenience may occur in the form of difficulty in nail-trimming, pain, nail pressure and discomfort wearing shoes (38%). [3, 4] Ability to pick up small objects could be impaired in subjects with fingernail involvement. Onychomycosis is also associated with emotional and social implications leading to reduced self-esteem and limitations of interaction with others. With regard to toenails, fungal dystrophy may interfere with walking and sports activities. Owing to the abnormal appearance of nails, individuals experience considerable embarrassment when they have to expose their nails to others and fear intimate situations. Many have difficulty with work-related activities which require them to use their fingers or to be on their feet for long periods of time. Due to its widespread prevalence in the community onychomycosis has an important economic impact. In a study of patients 65 years old and over 1.3 million clinic visits were recorded in 1 year costing more than US$43 million. The cost of therapy for toenail onychomycosis with terbinafin in Canadian dollars was estimated to be $1049.77, for griseofulvin $1388.54 and for ketoconazole it was $1936.48. Moreover, some work loss has been documented in the form of onychomycosis-related sick leaves. Treatment of the toenail fungus can be a never-ending battle for patients seeking home remedies, natural cures and similar complementary and alternative methods to eradicate their fungal infection. A comprehensive multi-modal approach is required to achieve the best results for the treatment of toenail fungus. 1. Andre J, Achten G. Onychomycosis. Int. J. Dermatol.26,481-490 (1987). 2. Walshe MM, English MP. Fungi in nails. Br. J. Dermatol.78,198-207 (1966). 3. Scher RK. Onychomycosis is more than a cosmetic problem. Br. J. Dermatol.130(S43),15 (1994). 4. Drake LA, Scher RK, Smith EB et al. Effect of onychomycosis on quality of life. J. Am. Acad. Dermatol.38,702-704 (1998). 5. Lubeck DP, Patrick DL, McNulty P et al. Quality of life of persons with onychomycosis. Qual. Life Res.2,341-348 (1993). 6. Einarson TR, Arikian SR, Shear NH. Cost-effectiveness analysis for onychomycosis therapy in Canada from a government perspective. Br. J. Dermatol.130(Suppl. 43),32-34 (1994).